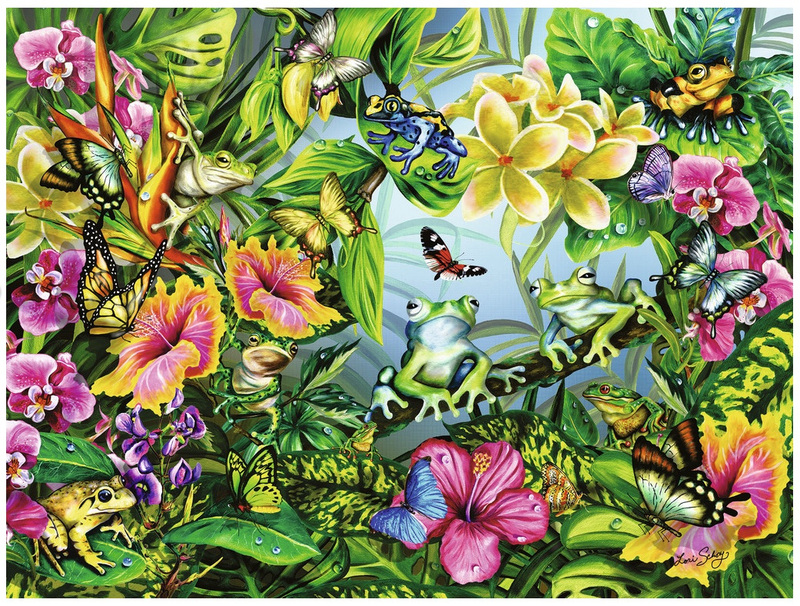 Finish the puzzle to reveal a colourful jungle scene ripe with flora, fauna, and frogs. Then scan the scene to find the hidden frogs. 1000 pieces. 80x 60 cms.